Do you want to protect your pet from ticks and fleas? Are you looking for a solution that will not pose a threat to animals or humans? 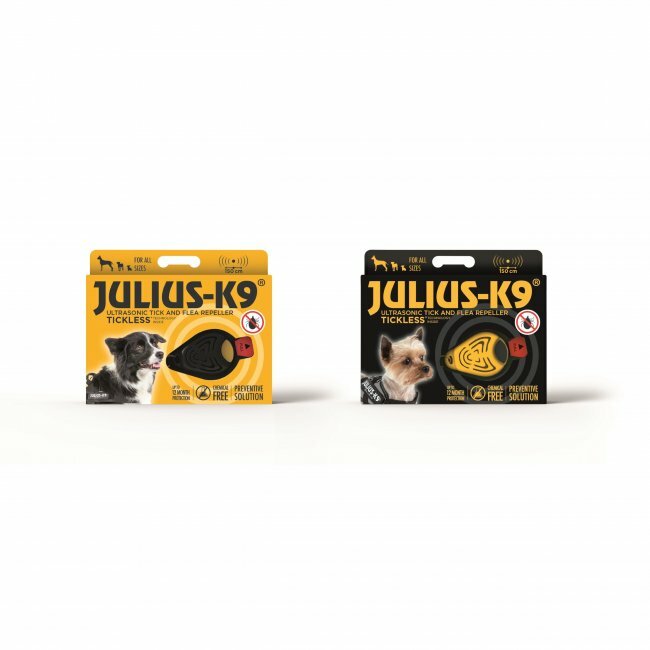 Then choose the JULIUS-K9® Ultrasonic Tick & Flea Repeller! This little device emits ultrasound of varying frequencies that are above the hearing range of humans and dogs, but repel and keep away ticks and fleas. Operating range is about 1,5 metres. Attach the repeller to the collar of the dog to protect it from parasites - in an environment-friendly way, without side effects! It provides protection for an entire season, 9-12 months continuous working after activating. The repeller is for prevention only, it is not suitable for anti-parasite treatment of pets already heavily infested with ticks or fleas. It should be used constantly during tick season. Its effectiveness also depends on the condition of the fur and the infestation of the environment. For full protection it is suggested taking other possible actions of safety (washing with shampoo, reducing contamination of the environment). In individual cases, in strongly infestated areas, some ticks may get onto the pet while wearing the device - in such cases the tick has to be removed in the usual way. Attach the device to the collar with the side with slits towards the animal. Remove the plastic tab to connect the lithium battery already present (not replaceable). Four _ashes show that the device is on. To see if it is still operating press the button and check that the light still _ashes. 6 months warranty on tecnhical malfunctions is provided.